365 ONE: day 249…LOST FINAL SEASON, FINALLY!!! Day 249: September 13th, 2012 = COMPLETE!!!!! 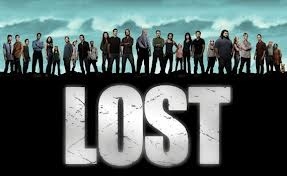 So last night my mum and I finished watching Lost season 6, the final season, that I had bought on DVD for her. I LOVED Lost – it was a great series and even though I caught on late and had to watch the first three seasons in one go, which I did in less than a week!! It was one of the best shows I had ever seen. There was no way I could watch it live though and have to wait a full week to wait for the next episode, especially with the cliffhangers at the end of each episode…I don’t know how anyone can wait a whole week to see what happens next with any show really!! It’s sooooo annoying! But even more so with Lost! And, if people know me…any chatting during shows or movies or anything results in me getting annoyed and pausing on remote, or rewinding back to re-watch…as I take them very seriously!! Haha! I recognize my crazy but I can’t help it!! My mum is the most annoying as she will randomly chat about something that has nothing to do with what’s she’s watching or she asks questions that either just happened or will happen….and all she has to do is watch!! And with Lost, when everything is crucial information….there is always a lot of pausing!!!! It has become a ritual with us with Lost. Since my mum and I watched the first three seasons together over a week one Christmas holidays years ago as everyone was raving about it, every year since then I would buy her the next season on DVD to watch over the Christmas holidays. I would have already watched it, depending on how much time I had, but we would addictively sit and watch the whole season in just a few days. And people who had no interest, like my dad, would have to watch something else. Although with my dad it worked out well as he would go to bed earlier anyway or want to watch the news. But then when Stuart came into my life and started to come with us for Christmas I then had to get him on the same page in order to be included!! So he had to catch up before he came out the first time and had to watch I think three or four seasons in one go too! I know – we are crazy!! But otherwise he would be left out!! So I watched a bit of the catching up with him too…which was so interesting to do with all the knowledge I already had. Anyway, Lost ended a while ago, and I had bought the last season, season 6, when it did, ready for my mum and Stuart to watch….but then that Christmas was split with me in London with my parents and Stuart in Redhill with his….so we waited. And then this last Christmas I couldn’t leave the country due to my Green Card application and my parents fell ill and could not travel…so then again it could not happen. So it’s been a waiting game….and naturally, and I don’t blame them, people sort of gave up. It had been so long that Stuart lost interest and didn’t care any more and then my mum sort of did the same. Which I found sad as a true Lost fan! I had watched the final season of Lost, all 16 episodes in ONE DAY, on the day of the finale, as I had to catch up on the whole season to make it in time for the live two hour finale event that evening!! And it was an emotional whirlwind of crazy!! So I had always wanted to watch it again when I had time and could really pay attention and see how I felt and be able to interpret the ending properly. So I have been waiting to watch this last season again…and since it has been a ritual with my mum and Stuart, I didn’t want to be a poop and watch it without them…so I have been holding out….and it just never happened! I have to say it was hard because it had been years since season 5, so remembering all that info and complexities and then having to explain to my mum, was quite taxing! As well of course as my pausing and rewinding constantly because she was soooooo annoying!! So it did take us longer to get through…but it was GREAT!!! What a great show! And what a shame really that it is over. I was quite surprised with how I felt at the end this time. And how my mum and I interpreted it….can discuss properly now with my Lost buddies!! Since I was so out of it that one single day of watching them all! My two friends Paloma and Brianna said they wanted to watch the whole of Lost again, from the beginning…we said in one weekend, but that would be quite the feat….although I kind of want to do it that way as it would be an amazing challenge…so let’s do it! Day 225: August 20th, 2012 = COMPLETE!!!!!! Not such a good day today. And that’s just a taste of it!! I could have gone on and on with what is boiling inside of me. We’re both stressed – me and my mum – with life around us that is not so great, outside of the baby world. And I have to be strong to keep the rest of the family up. And now I feel I let my guard down for a second and perhaps put a crack in the perfect distracting baby world where my mum could live in quite happily for now. So on top of it all I also now feel guilty. Because I do want to be here and America is what I associate with work, and she was just so quick to jump on the sad element to America and how far away it is, and how far away I have been since the year 2000! And now will have a little baby that will also be far away from her. And I don’t know what to do really. How to rectify it. How to make it better. How to prove to her and me that I will find a way to be transatlantic – for real. Day 168: June 24th, 2012 = COMPLETE!!!!! I just got back from being up at Lake Placid for a wedding. So much for them telling me they were backlogged!! So much for them telling me to be patient and that I may not get it for 6 months!! Even the notice that came in the mail said it would take three weeks…but this was literally less than TEN DAYS!!! 365 ONE: day 166…Sweaty Medal Today! Day 166: June 22nd, 2012 = COMPLETE!!!!!! Today takes the sweat medal!!!!!!!!!! I thought it was supposed to actually die down today, but nope! I had to be up early as driving to Lake Placid today for our friend’s wedding tomorrow, and had to go to work first, so of course the 365 had to be done early. I was so hot so I took a shower this morning as I was also so tired so thought it would be a good wake-up. It was so hot here that the electricity was going in and out all, night. Our crappy air conditioner would be on and then you could hear it fade down and pumping lower, then surge suddenly back up! And this air conditioner already has trouble cooling down the room the poor little old thing! Anyway, that was annoying so naturally didn’t get much sleep – but do I ever???? Ugh. So I was super hot when I got up and took a cold shower – which was nice while it lasted! But then I had to rub belly oil on and moisturizer so my half hour 365 walk after to the subway this morning was disgusting!! I was talking to my dad as I walked and when I pulled the phone away there was a thick layer of white on my screen from where the moisturizer had rubbed off my face!! Nasty!! Hopefully up at Lake Placid its cooler…..please!! This summer is just soooooo hot! Thank god my Green Card got approved (got the approval notices in the mail last night so its official!!!!) so I can hopefully be in a less hot and less friggin’ humid environment. The UK seems to fit that bill – although trust my luck and they have a super hot and humid summer or something this year!!! This here is NOT preggo weather! And then I feel guilty as I feel like they are thinking I’m being a bad mother by not resting!!! Day 160: June 16th, 2012 = COMPLETE!!!!! I still can’t believe I got approved for my Green Card yesterday!!!! It only took me 12 years haha!!!! ~ first two-year work visa on my Australian passport (previous student and OPT visas were on my Greek passport) as discovered the E3 work visa available for Australian nationals – thank you Mummy for being Australian! And also registering me at birth for an Australian passport so I could be eligible! 365 ONE: day 159…Guess What????????????????? Day 159: June 15th, 2012 = COMPLETE!!!!! Today was my Green Card inquiry appointment! He said my file was with the woman who interviewed me and she was upstairs. Could I wait for an hour or so as she is currently working on something? OF COURSE! I was there to find out and know more so I said yes and was happy to wait if I could gain insight or anything! There was a son and a father and they were filing for their wife/perhaps sister-in-law/daugher-in-law to have her green card revoked!!! I heard the words fraud and estrangement in the mix!! Some serious stuff! They were at the clerk desk for a really long time! Sadly it was in and out of being fully audible but at one point the officer said that no one could force someone to get and stay married! I wish I had sat closer to have got the scoop on that case – it could have been my live soap opera to pass the time! Then I got called up again to be seen by another woman, not the woman who interviewed me who I thought I was waiting for. She said she had my file. She asked if I have travelled since my arrival back to the US in September 2011 and how many countries I was a citizen of and if I have ever had a problem with having 3 passports after I said UK, Australia and Greece – nope, never had a problem which she understood as I said I was born in London and my dad was Greek and my mum Australian. I said I had not flown as I haven’t and mentioned that I hadn’t because I thought I was not supposed to – which she confirmed. Can you imagine if all this time I could have flown or something!! Anyway, she said she was going to look at my file and to have a seat again as she would probably be another half hour or so. No problem, I said. Back to waiting again – and yet another fascinating case I got to watch! This time it was a guy that literally got up 5 times in 5 minutes to go to the windows to make sure someone was working on his inquiry!! It was hilarious watching him as he went to all three of the clerks and back again. He just could not sit still but to me that only made him look more nervous and thus suspicious! 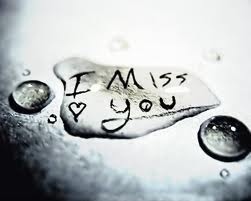 I was busy watching him when my name was called again only a few minutes later and guess what??????????????????? She said Congratulations and that she had approved my Green Card application!! She was able to adjudicate my case right there and approved me in the system, on the spot! She stamped my passport with a temporary Green Card until mine comes in the mail as it could be a while to receive it so am now eligible to travel and work with this stamp!!! Right before my name was called though, I watched how this other woman got up to use the stamp in with the clerk and I heard her say to him that my interviewer must have not got around to it!! Which I didn’t know meant anything but then she called my name, so in over-hearing that, and if that is really true – then that implies that it simply came down to my interviewer not touching my case, not getting around to it! !…since March 26th when I had the interview….so no security check issue or anything as nothing was ever mentioned about that to me today….so all that drama for nothing!! Well, whatever, now I don’t care about the details as I got it!!!!!!!!!!!!!!!!!!!!!!!!!!!!!!!!!!!!!!!!!!!!!!!! !